Each year, our family looks forward to ordering caterpillars and watching them blossom into beautiful butterflies. 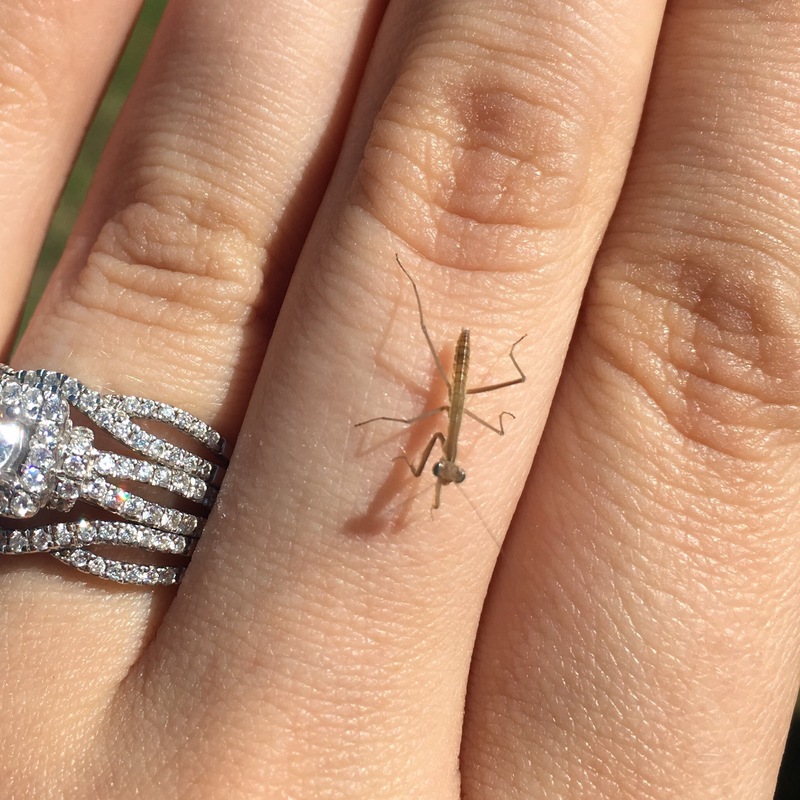 This year though, we decided to add Inset Lore praying mantises into the mix and as anxious as I was about them hatching in our home, I am still glad that we did! When you order a praying mantis egg, it arrives in a small plastic cup similar to the ones Inset Lore’s caterpillars are shipped in. The difference though is that instead of keeping the jar sealed tight, you are encouraged to immediately move the egg to a habitat of its own with some sticks to help support it. For this, they recommend the pop-up port-a-bug but we used an insect habitat we had recently been gifted. 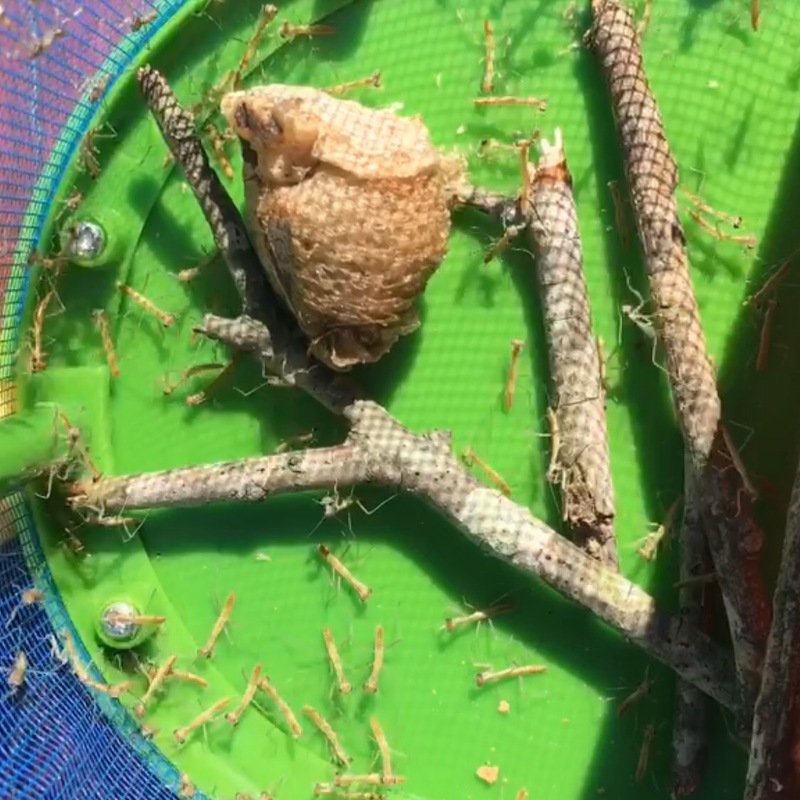 Within 3-6 weeks, the egg will hatch and 75-200 baby mantises will emerge. It was incredible! Insect Lore recommends setting most of them free within a short amount of time to avoid them consuming one another. Yikes! 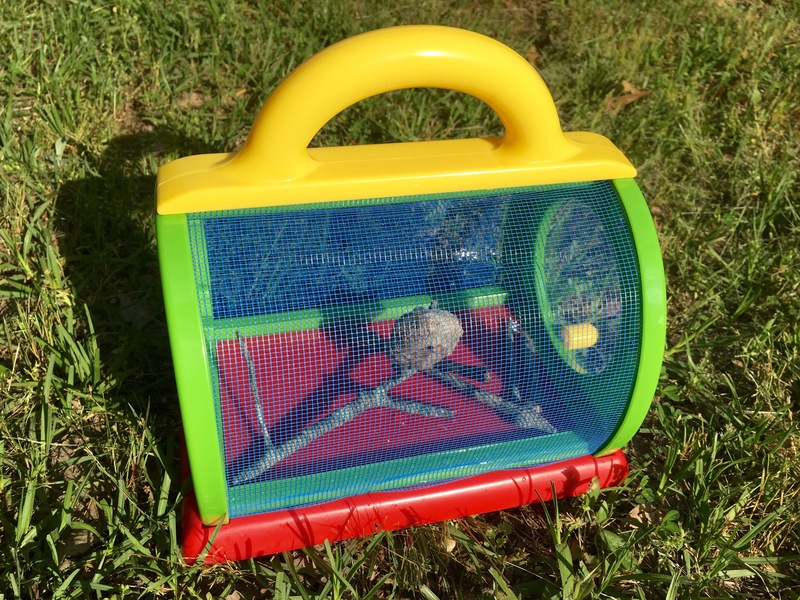 They say you can keep 1-2 and catch small bugs to feed the mantis but this year we simply set them all free. Three managed to escape the habitat right after hatching inside our home and I just was not up for the challenge of harboring a pet praying mantis that day. Maybe next year! As with our butterfly unit study, we talked about the different food they consume, read up about their habits, and discussed the importance of not interfering with nature. The littles are really starting to understand that we all have an impact on not only the environment but all of the wonderful creatures within it; no matter how small. Watching their moments of clarity is what makes the life cycle unit studies one of my favorites! Ready to experience the beauty of life cycle transformations on your own? Head on over to Insect Lore where they can help out with praying mantises, caterpillars, lady bugs, or even ant farms! Need help coming up with a lesson plan? Check out Educents for some great ideas (the even have full unit studies available) and be sure to pair it with National Geographic’s Bug-opedia!